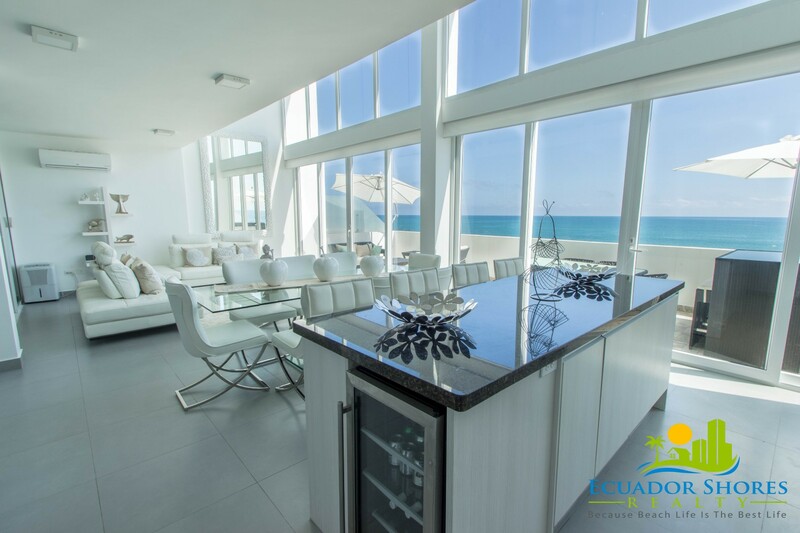 Asking Price only $359,000 complete! 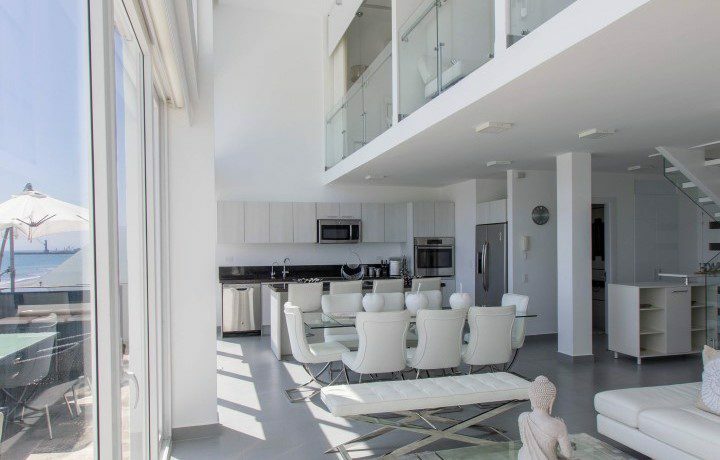 I must admit, when I walked into this custom designed loft home for the first time, my jaw hit the floor! 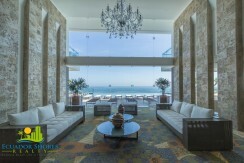 If you are looking for the “wow factor”, that undeniable grin that makes you grin even more, then this is it!! 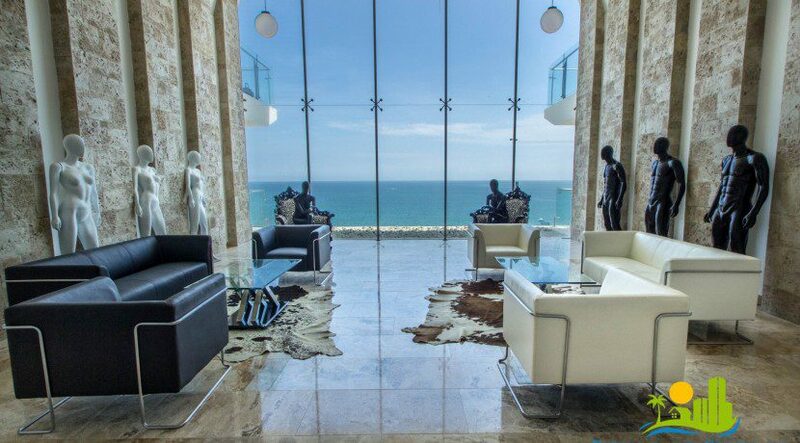 There are so many incredible points to make about this one of a kind home that I don’t even know where to begin. 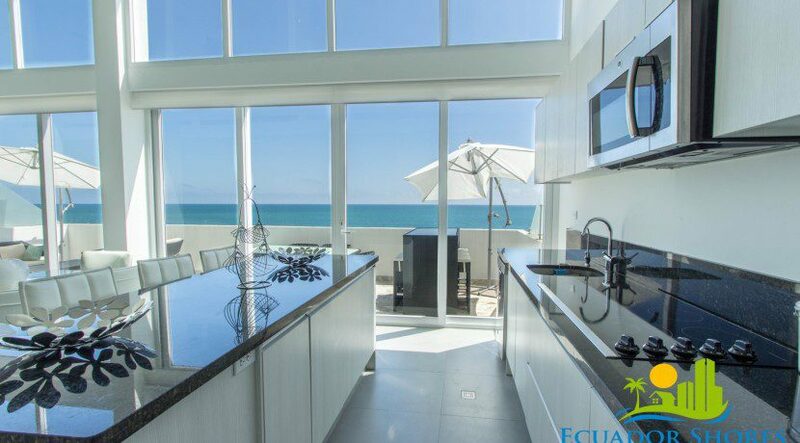 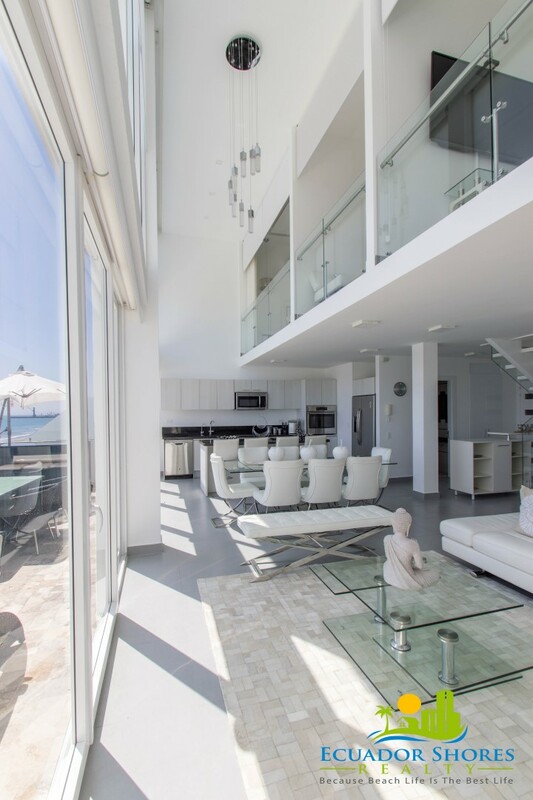 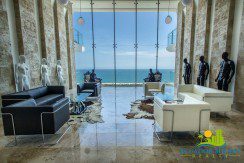 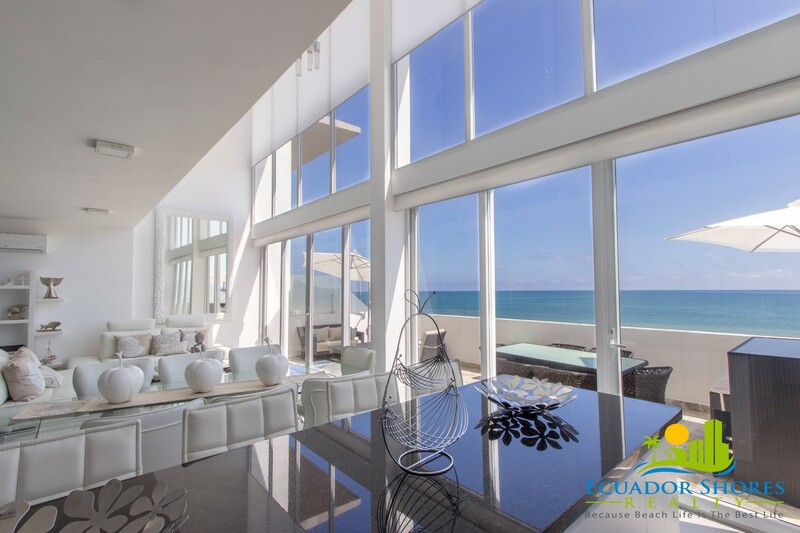 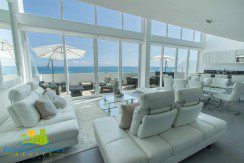 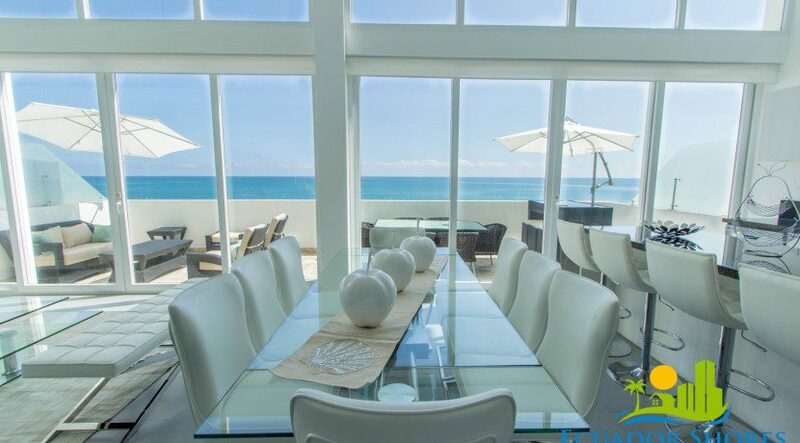 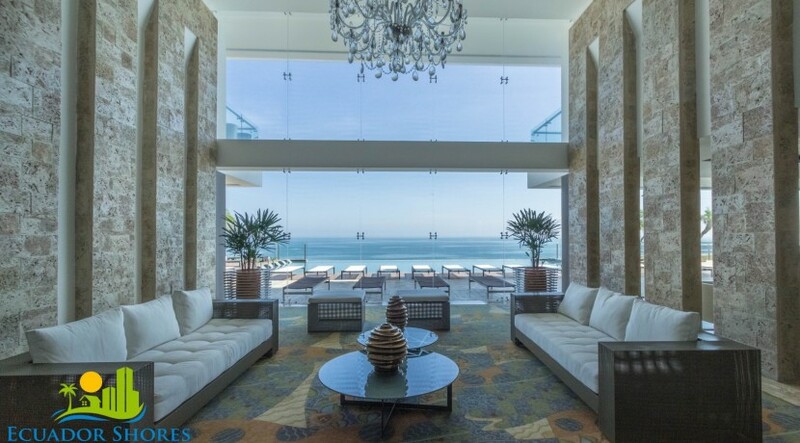 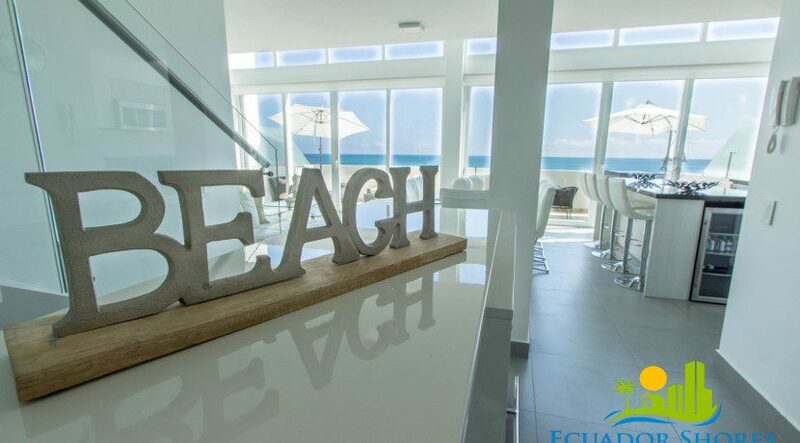 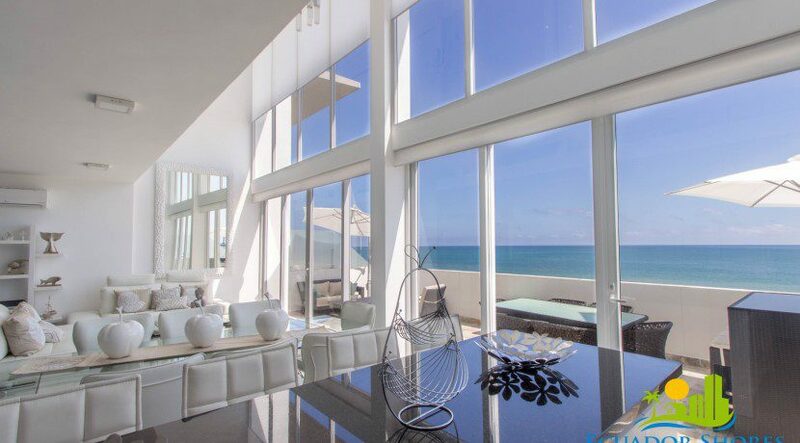 Walking in the front door you see it right away…the wall of glass looking out over the beachfront. 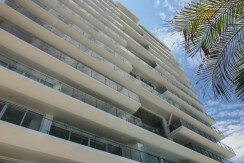 Then as you keep walking you see the view get even bigger as the glass climbs 20ft high!! The entire main living area is wide open encompassing your living area, dining, and gourmet kitchen! 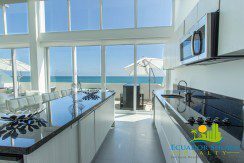 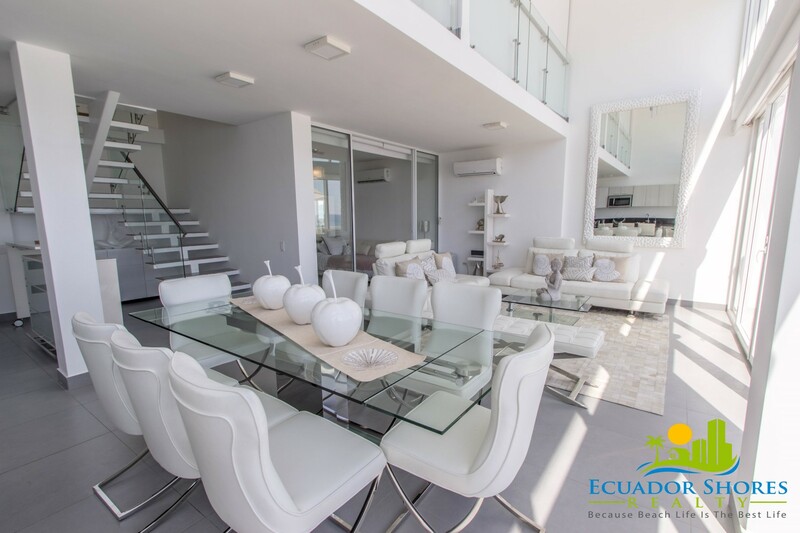 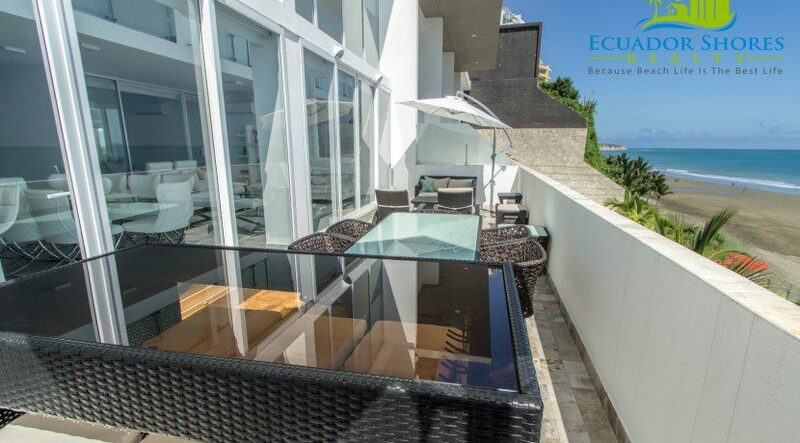 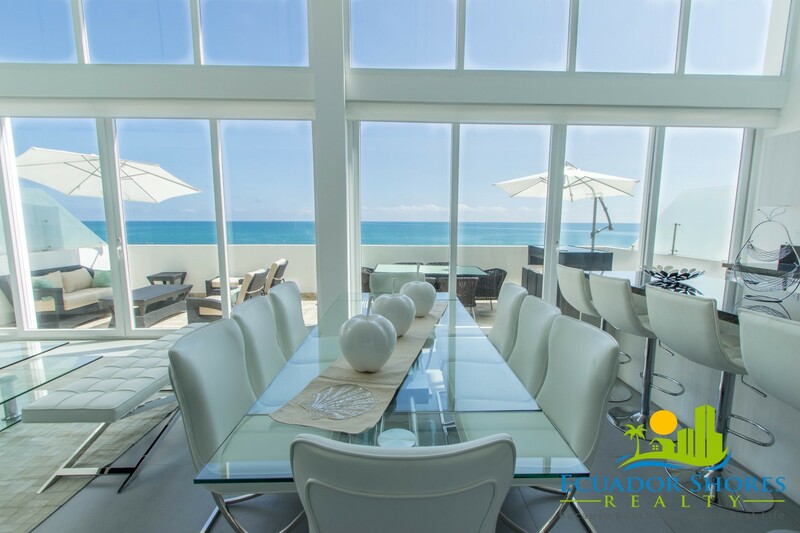 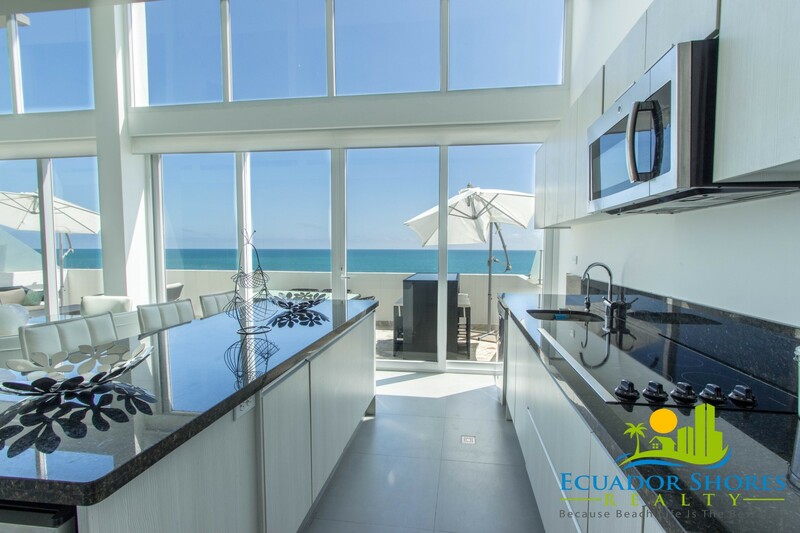 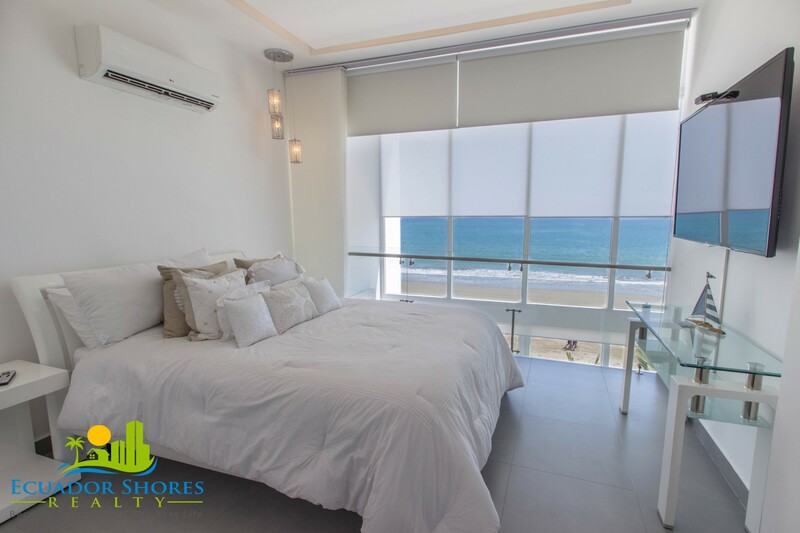 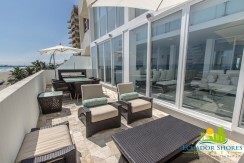 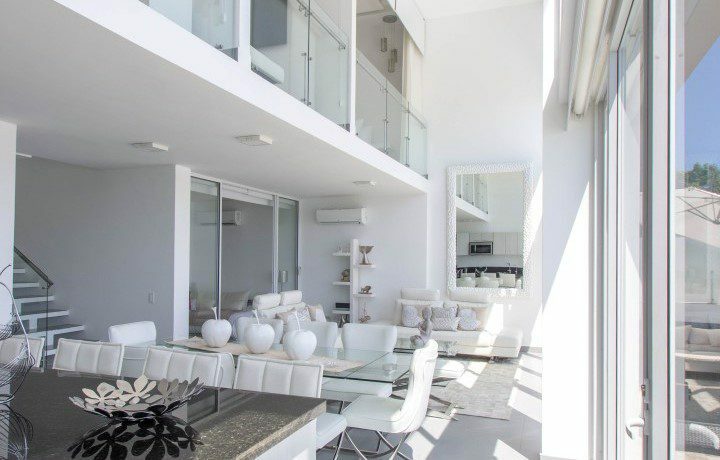 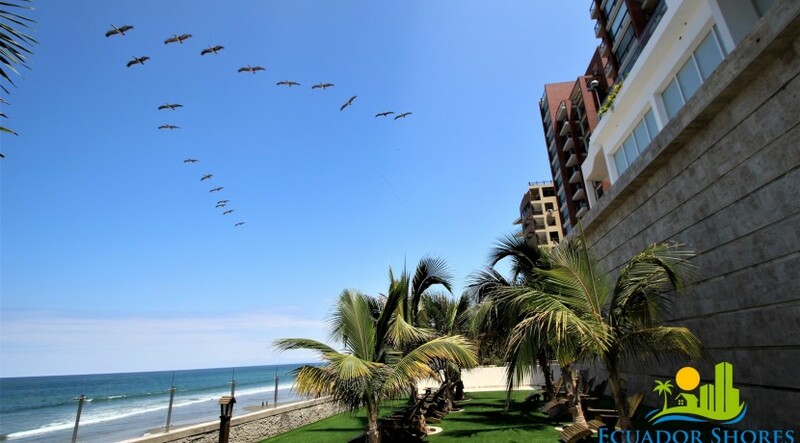 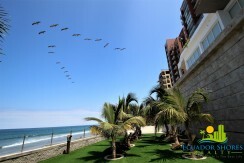 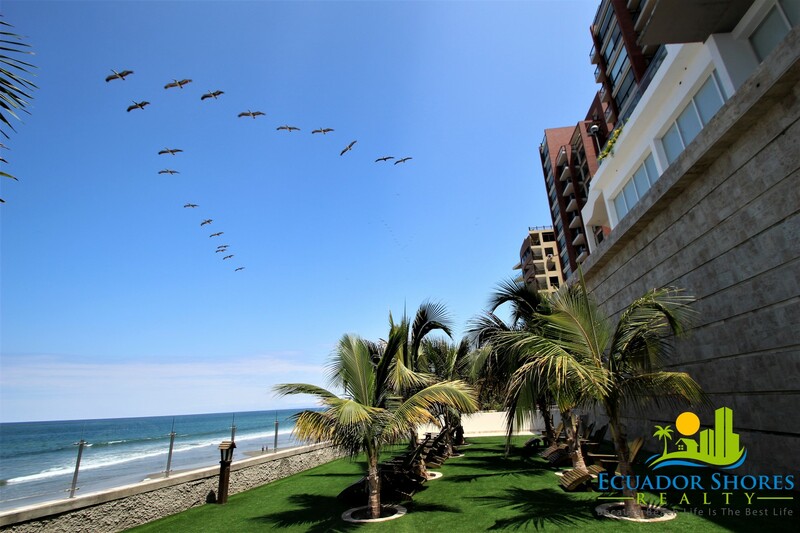 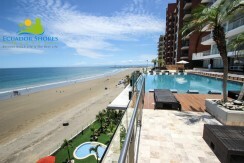 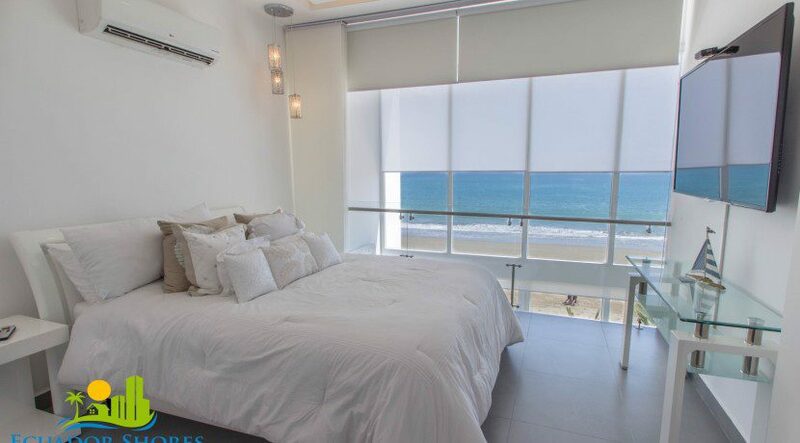 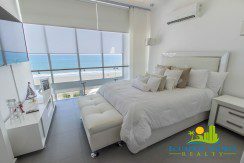 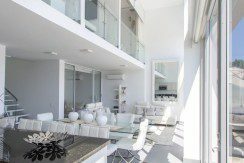 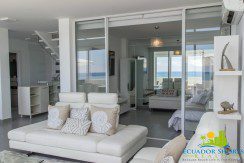 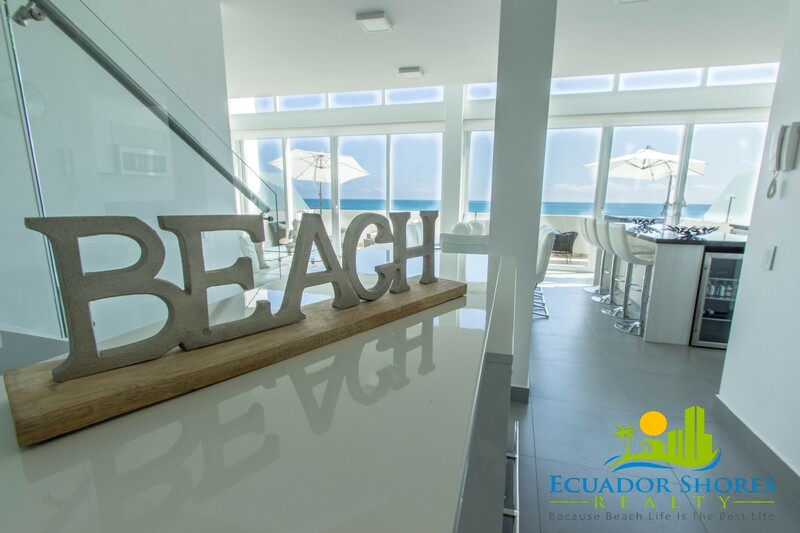 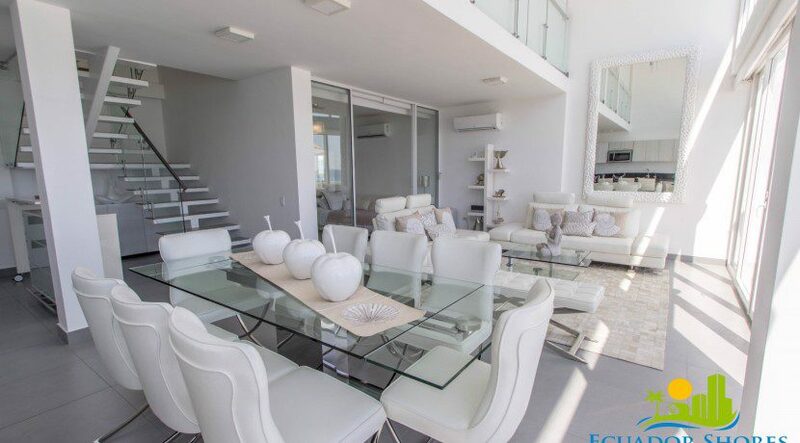 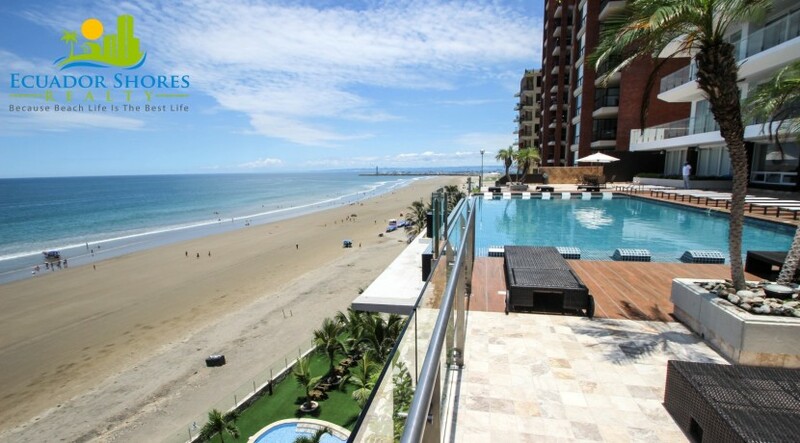 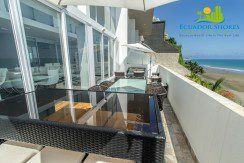 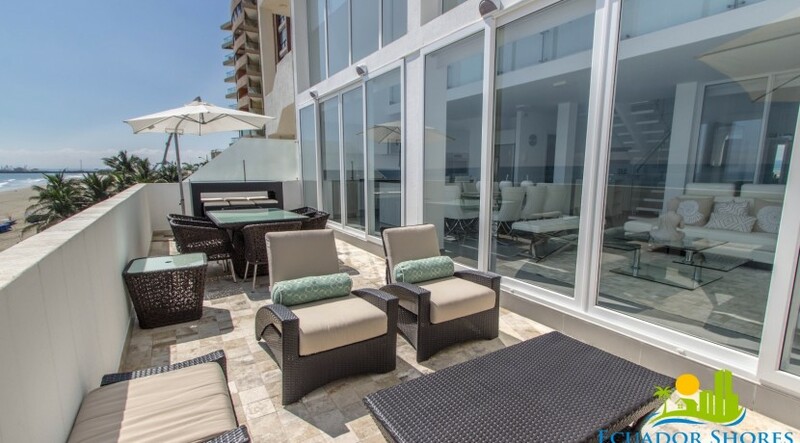 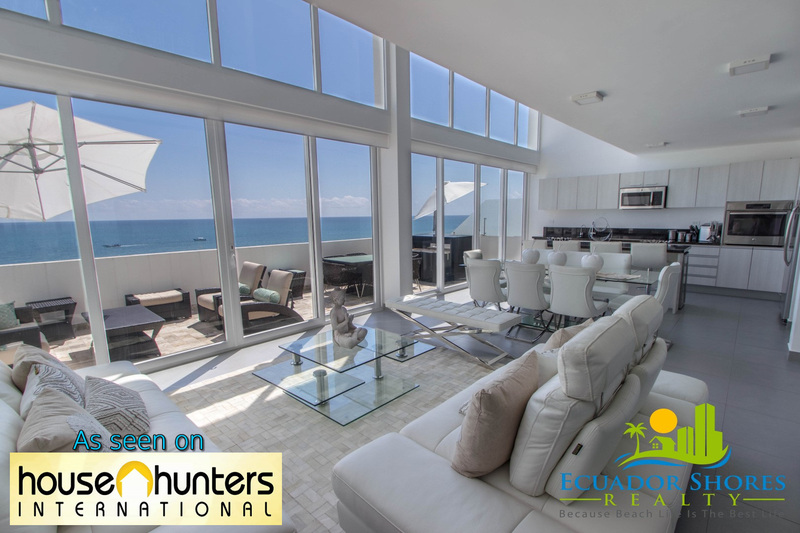 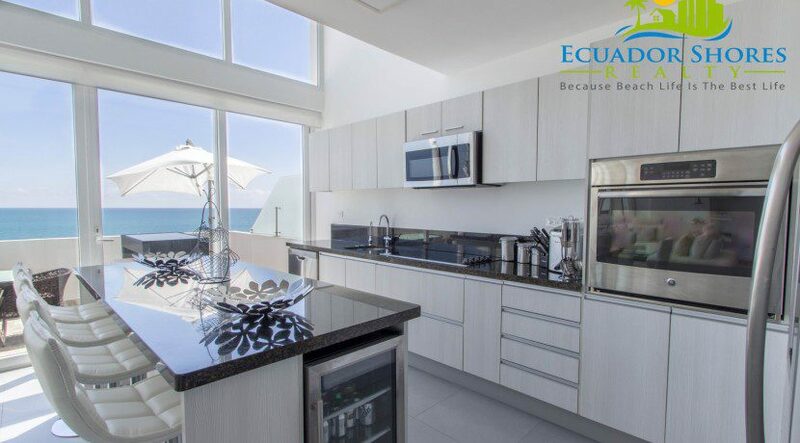 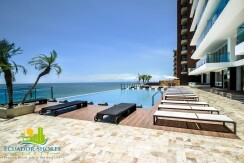 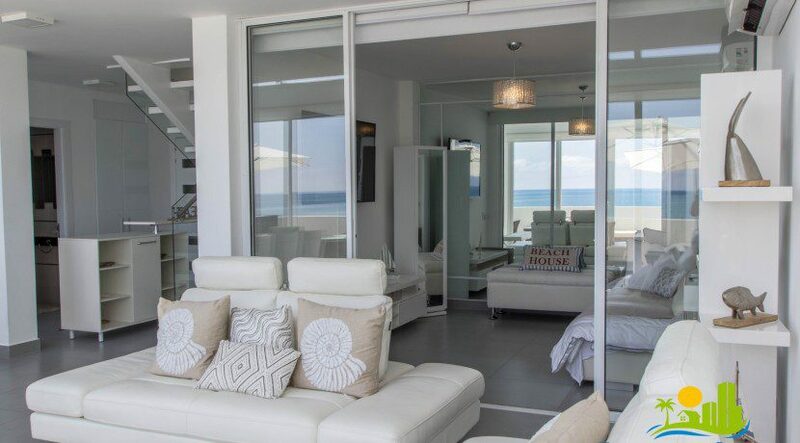 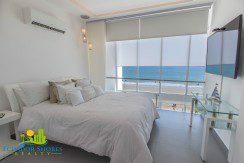 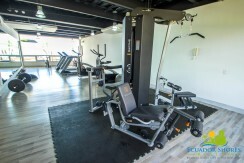 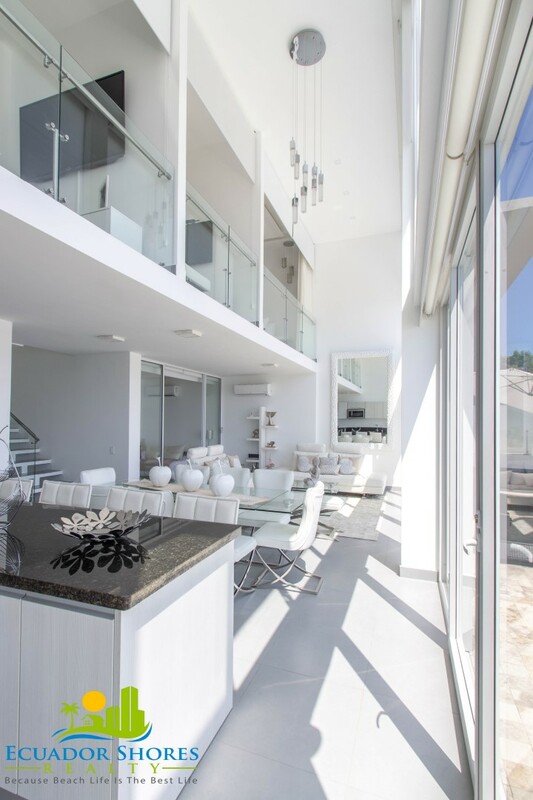 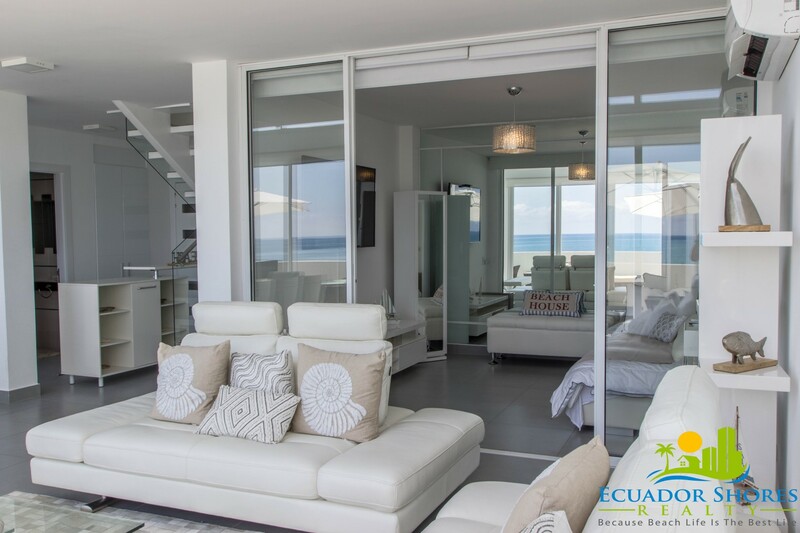 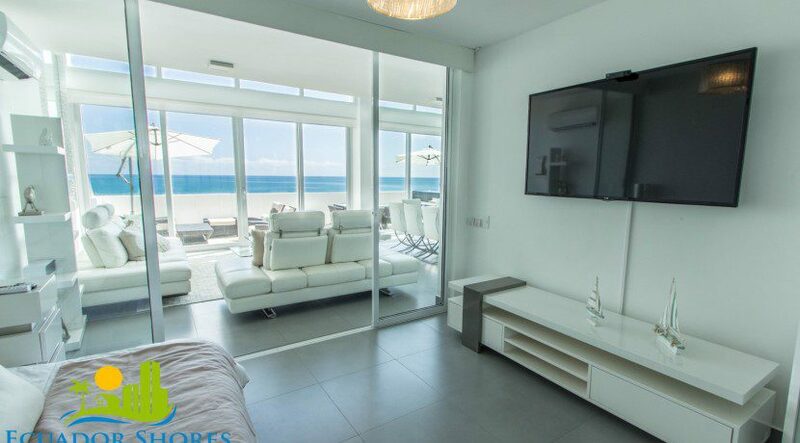 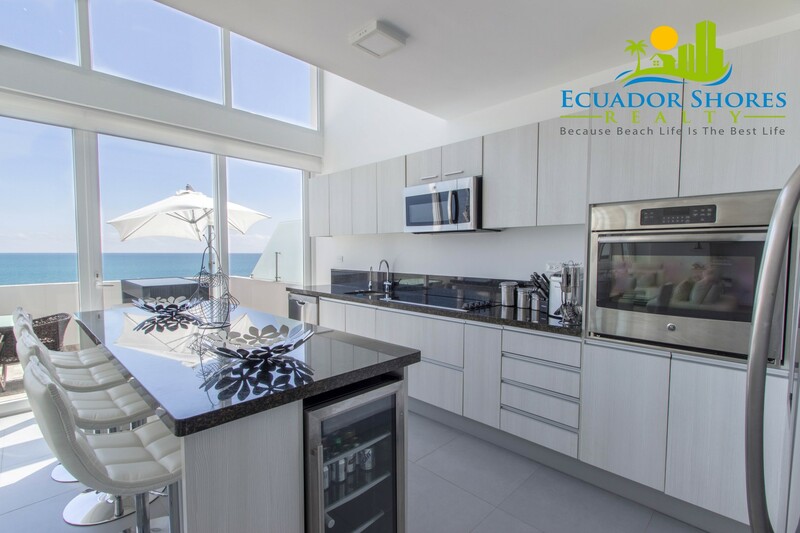 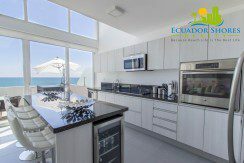 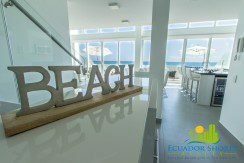 You have two sets of large sliding glass doors that open to your oversize and nicely furnished beachfront terrace. Even the custom curtains for the windows are fully electric and operated by remote control! 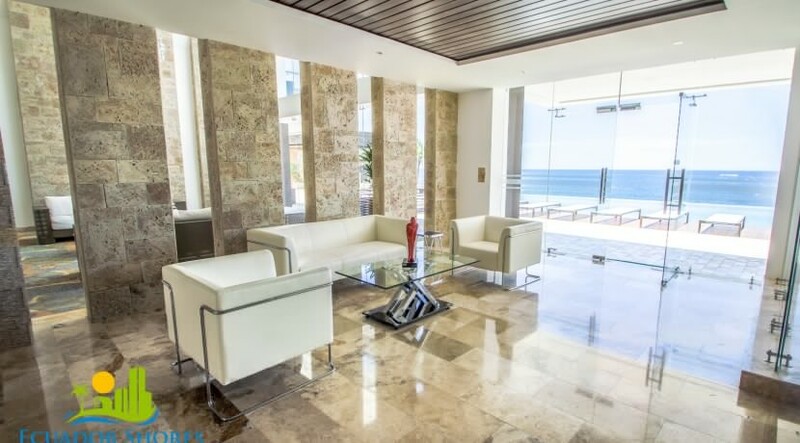 The other thing you will immediately notice is the super luxurious furniture and décor! 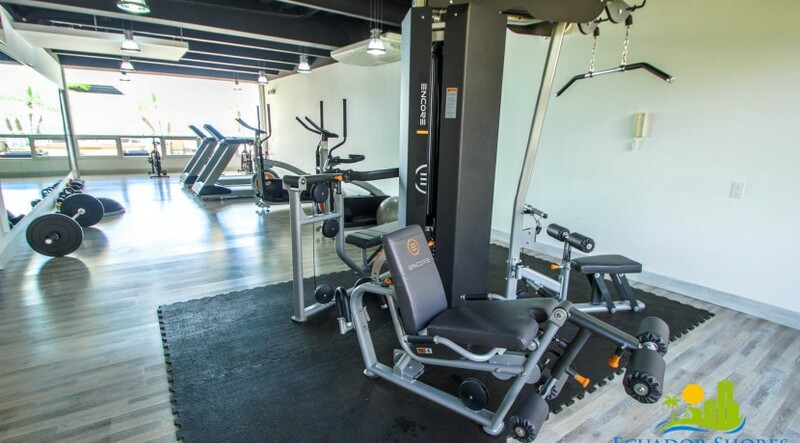 All of the furniture was imported from one of South Florida’s finest furniture stores. 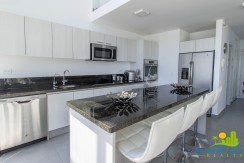 The appliances are all high end GE stainless steel and there is even a wine fridge installed in the kitchen island. 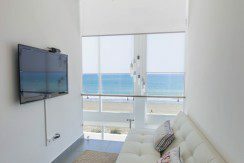 There is even a 55inch LG high definition TV in every bedroom and an extra in the upstairs sitting area. 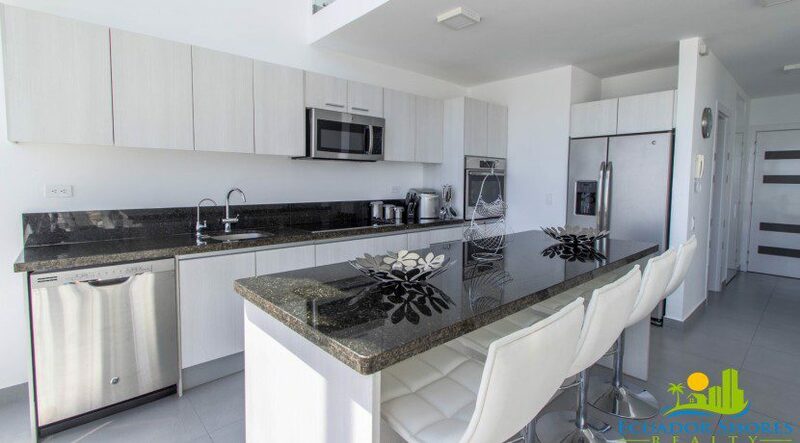 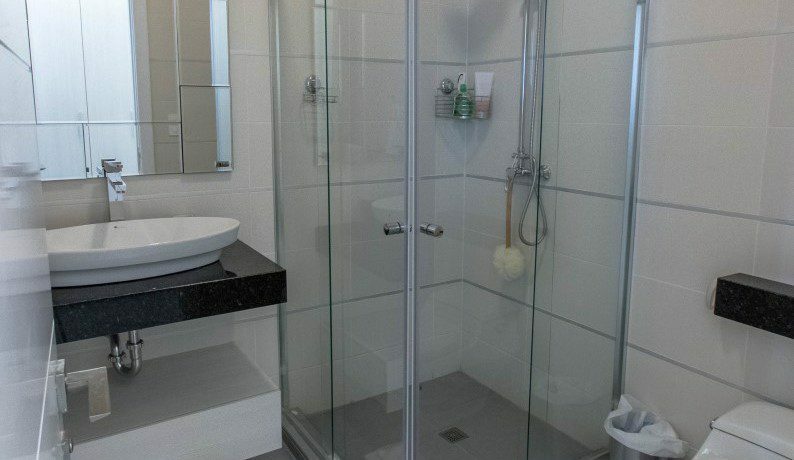 All in all the owner spent almost $40,000 on this gorgeous furniture and appliance package! 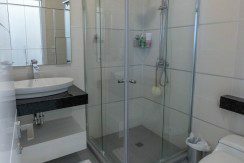 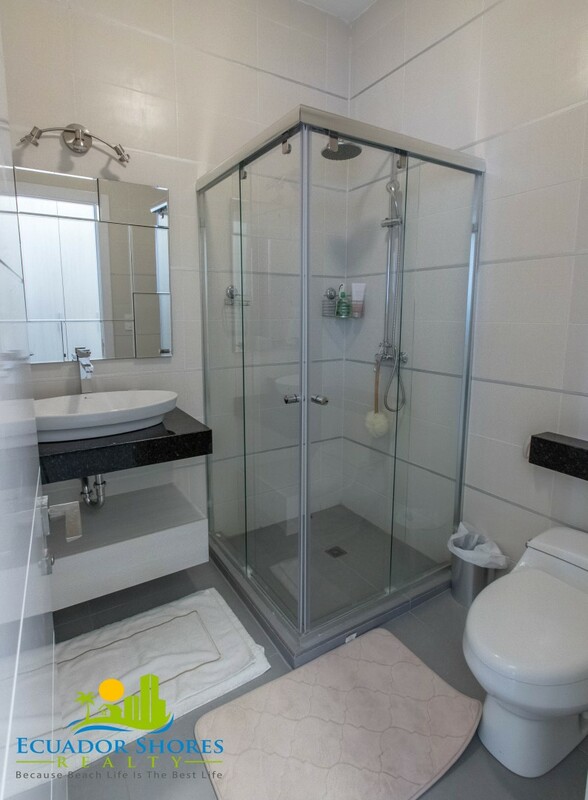 Downstairs there is also located a full bathroom as well as a walk in laundry room complete with wash sink and stack-able washer/dryer. 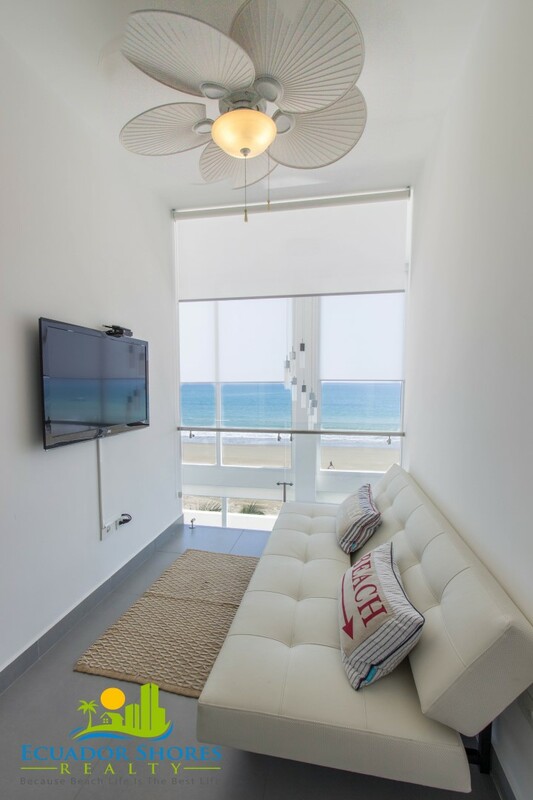 Walking upstairs you will find a TV room with sofa and 55inch flat screen TV. 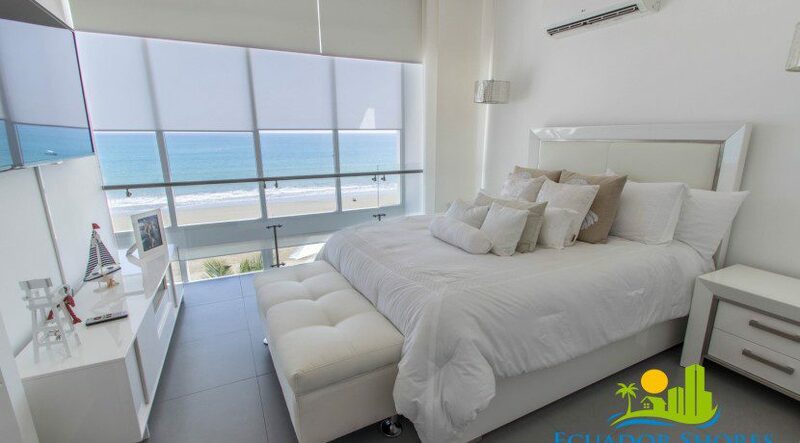 The master bedroom and upstairs guest bedroom both offer beautiful bedding sets, closet space, and full bathrooms. 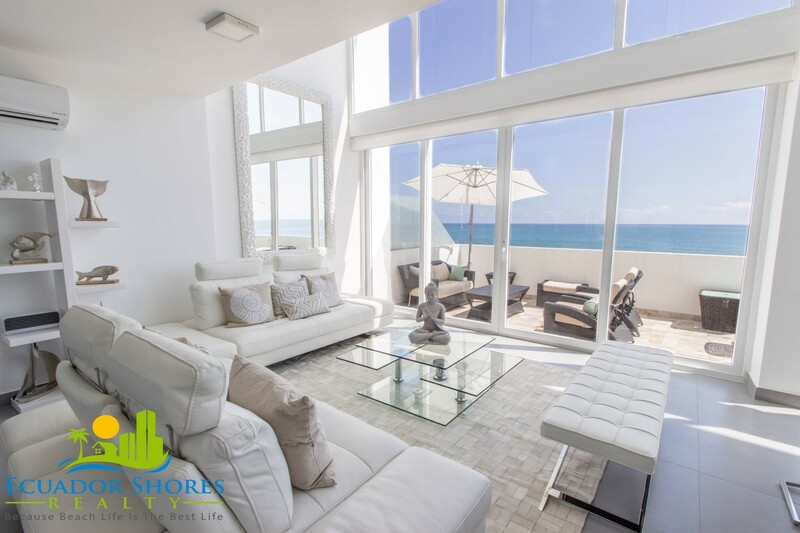 The best part is that both bedrooms and the TV sitting area all offer stunning loft style views through the 20ft windows and out over the beach and ocean! 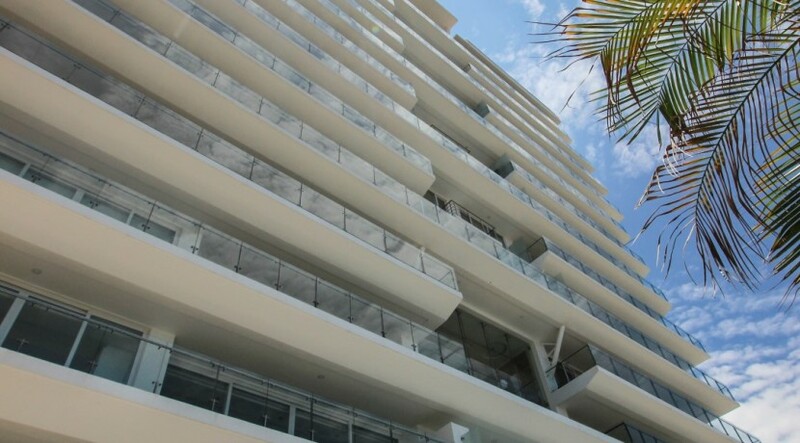 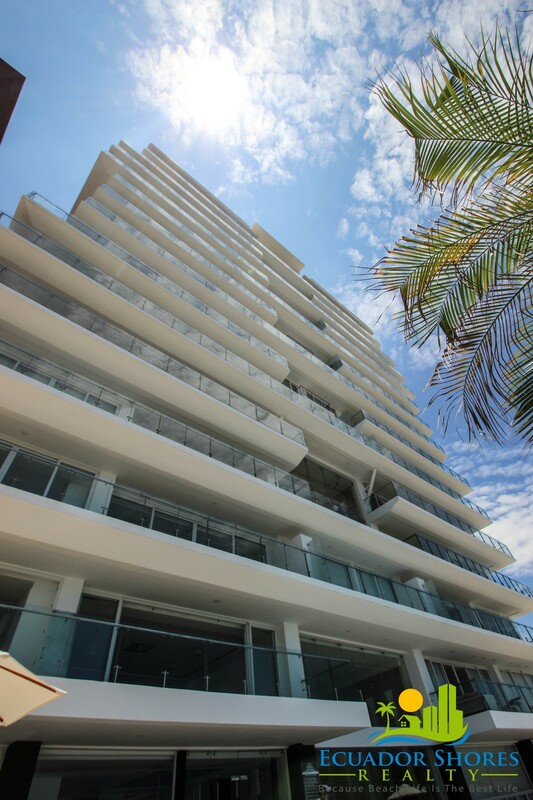 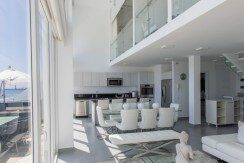 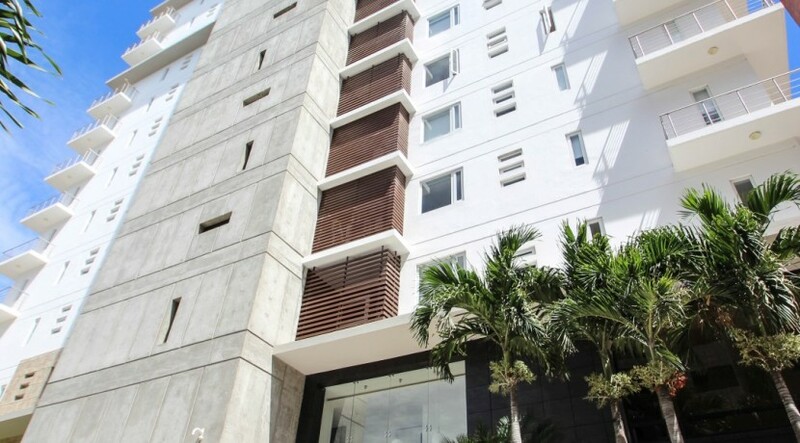 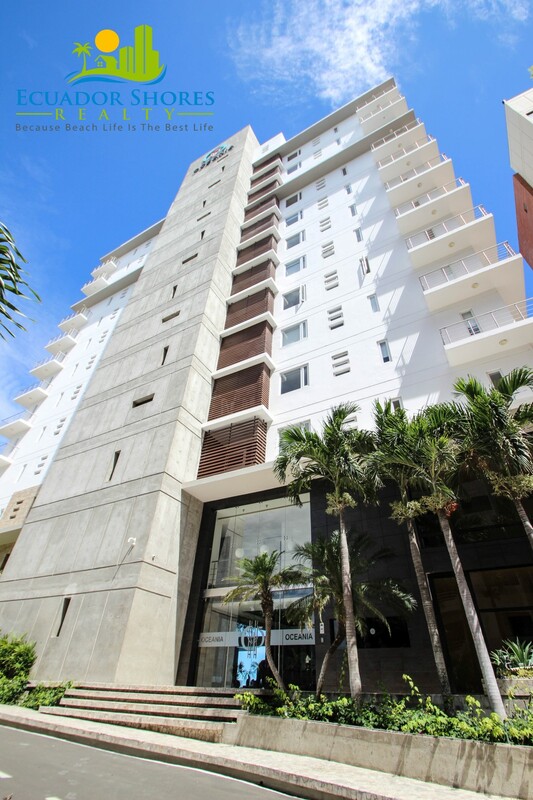 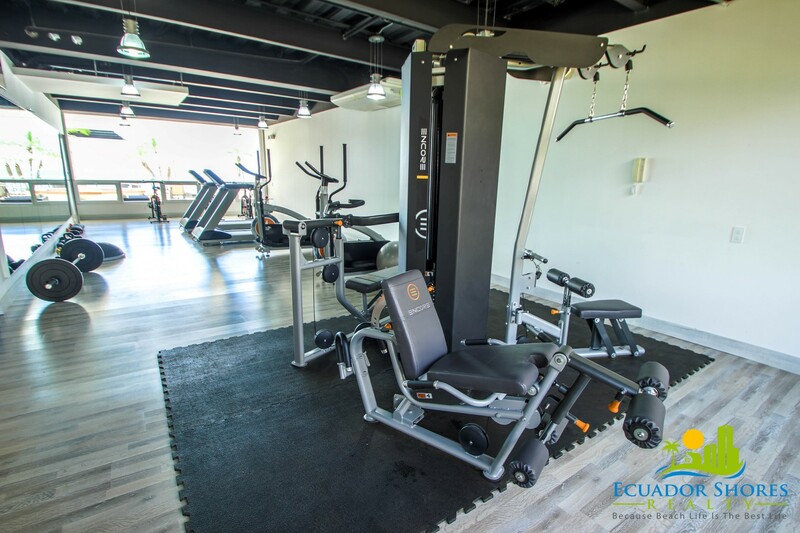 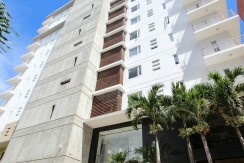 The Oceania condo building is easily the most luxurious and opulent condominium building available in the area! 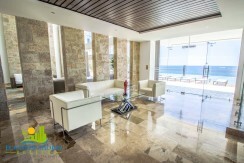 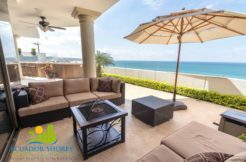 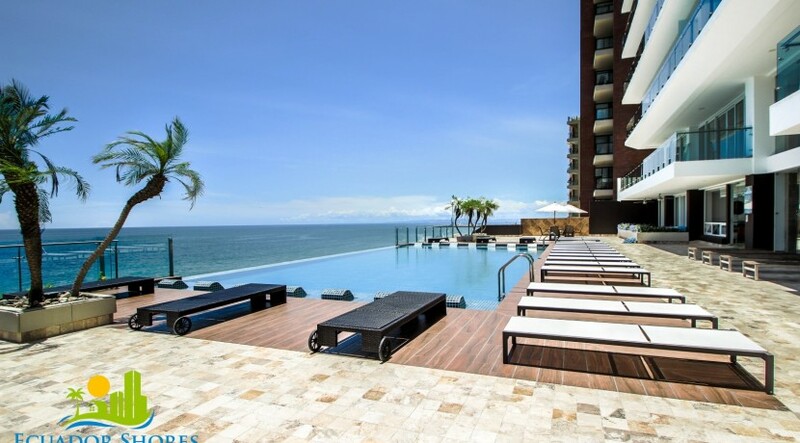 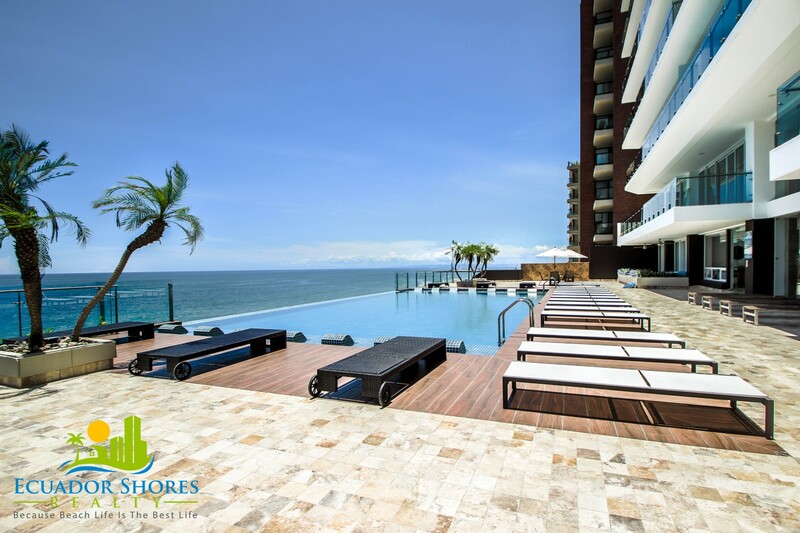 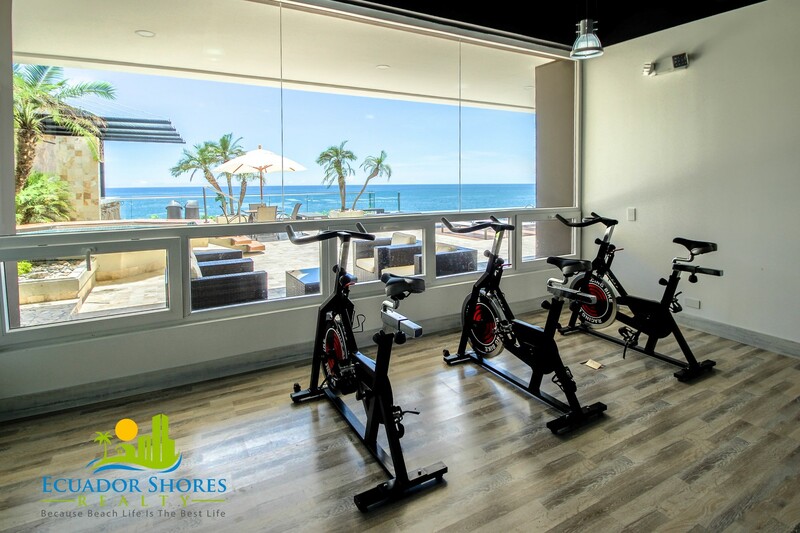 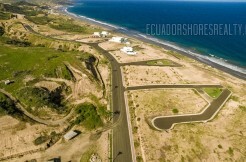 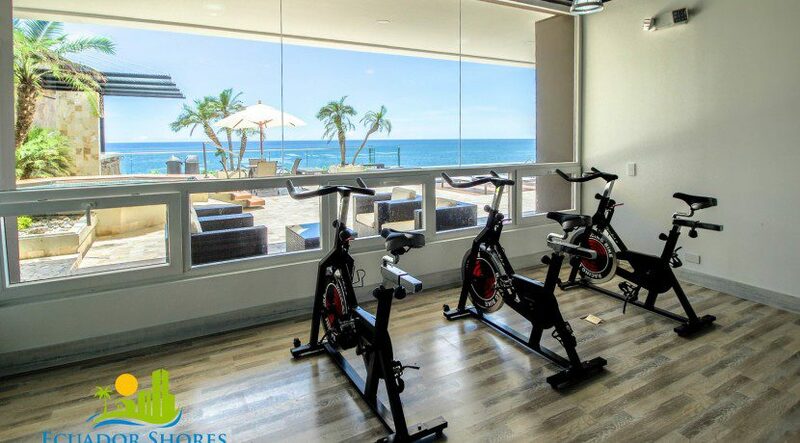 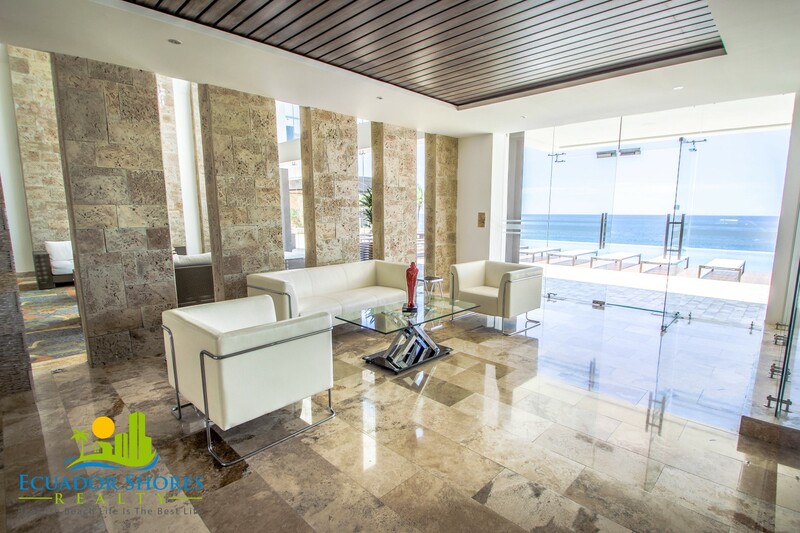 Residents may enjoy a visually stunning lobby and private reading area, private meeting space, private beach access, large beachfront infinity pool, Jacuzzi, well appointed fitness center, on site building manager, video surveillance, full security and more! 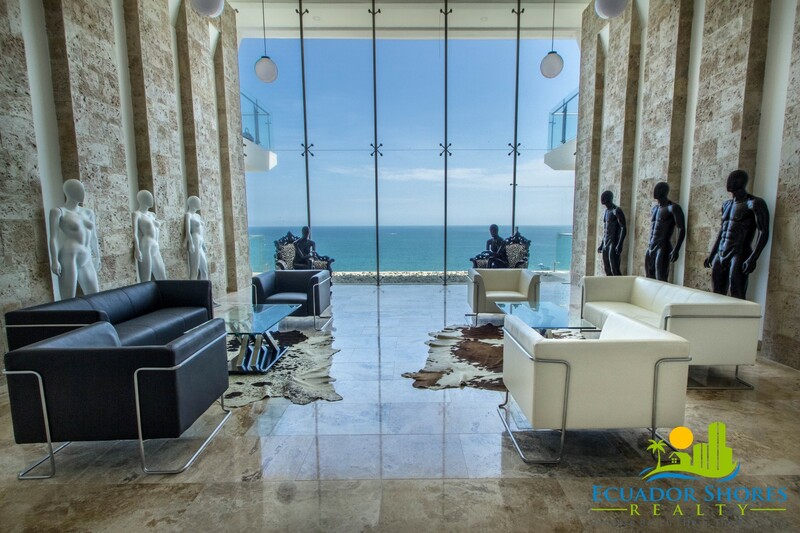 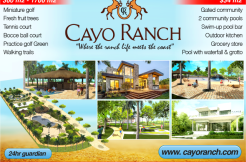 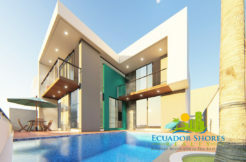 If you are looking for the pinnacle of luxury living, this is it!